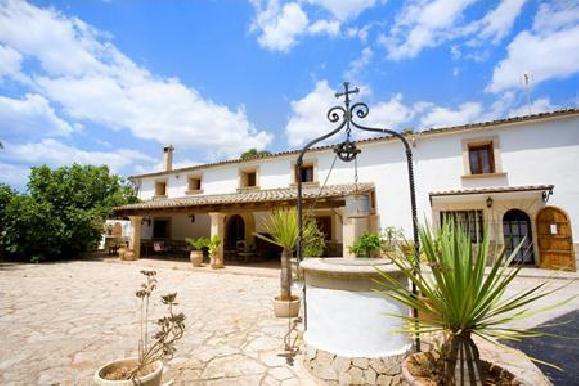 General Description: Sa Bassa Plana Finca in Lluchmajor has 55 rooms, spread over 1 floor. The sandy beach is 7 km from the hotel and the town of Cala Pi is 5 km away. The closest city to the hotel is Llucmajor (14 km). Other cities: Palma (40 km). To make your stay more comfortable air conditioning, a reception and an elevator are available. The staff in this 1 storey hotel speaks Spanish, Dutch, German and English. 2 fresh water swimming pools, seasonally open with an integrated children's pool are available. Sunshades and sunbeds are available free of charge at the pool. Distance from the hotel to: Es Trenc (22 km), Cathedral Palma (42 km), supermarkets (5 km), tourist information (5 km), airport PMI (36 km), shops (14 km) and Palma Aquarium (33 km). For your entertainment the hotel features a TV lounge. Vehicles may be parked in the parking lot. Amenities: For convenience the following services are offered: room service and a safe. Internet access is provided at wifi-hotspots.